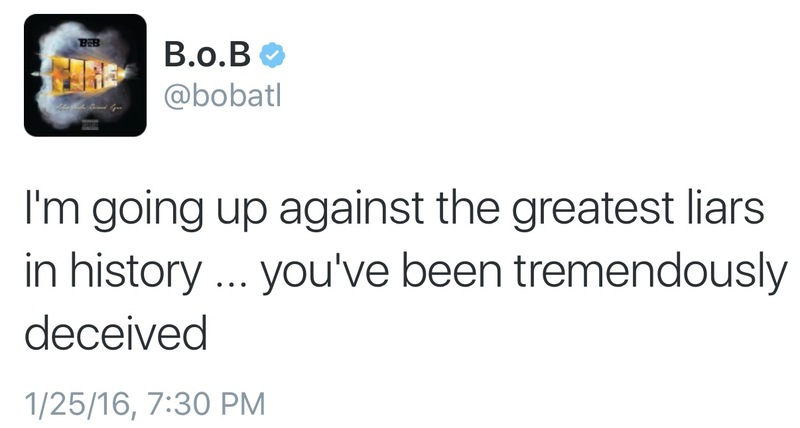 B.o.B On Flat Earth Backlash: "They Want Me To Be A Good Little Rapper... 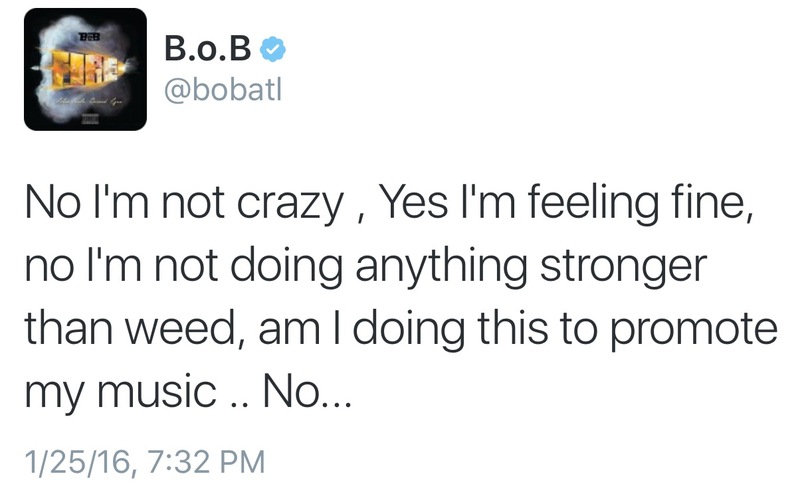 I'm Not Crazy"
(AllHipHop News) Some people questioned if B.o.B's recent Twitter posts about the Earth actually being flat was nothing more than the Atlanta area rapper trolling for attention or making light of the conspiracy theory. 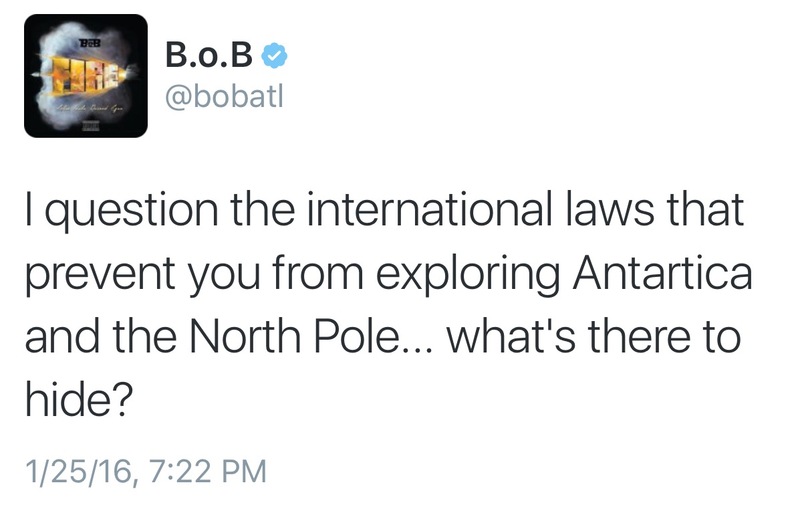 But the No Genre imprint leader doubled down on his claims the government is lying about the shape of the planet. After catching heat from Twitter users and even getting a response from famed astrophysicist Neil deGrasse Tyson, Bobby Ray returned to the social media platform to address the backlash he received for his claims about the world not being round. 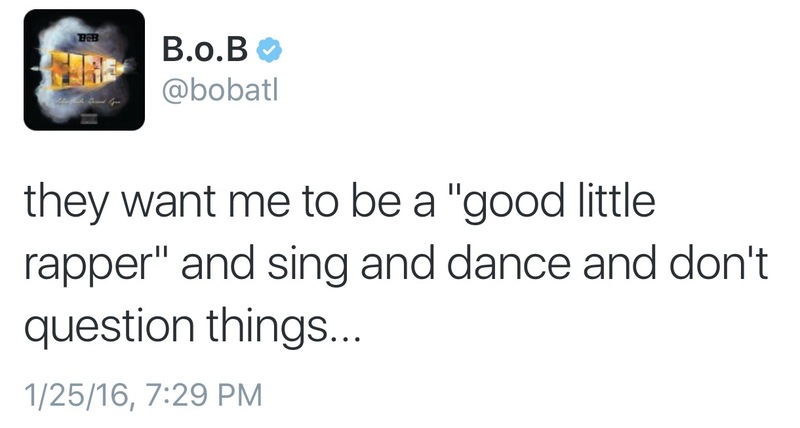 "They want me to be a 'good little rapper' and sing and dance and don't question things," wrote B.o.B. "I'm going up against the greatest liars in history... You've been tremendously deceived." The "Back and Forth" performer added, "No, I'm not crazy. Yes, I'm feeling fine. No, I'm not doing anything stronger than weed. Am I doing this to promote my music? No." 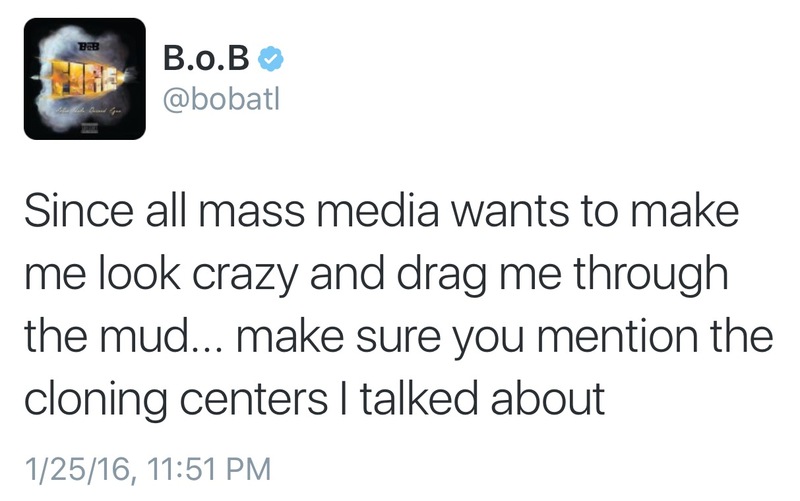 Read more of B.o.B's tweets in the gallery below. 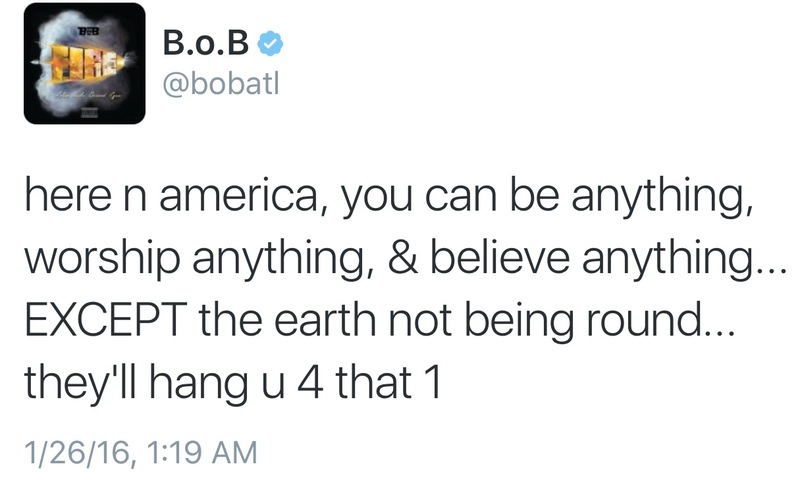 B.o.B released the new song "Flatline" addressing his flat Earth theory, and he takes shots at Neil deGrasse Tyson. Listen to the song below.